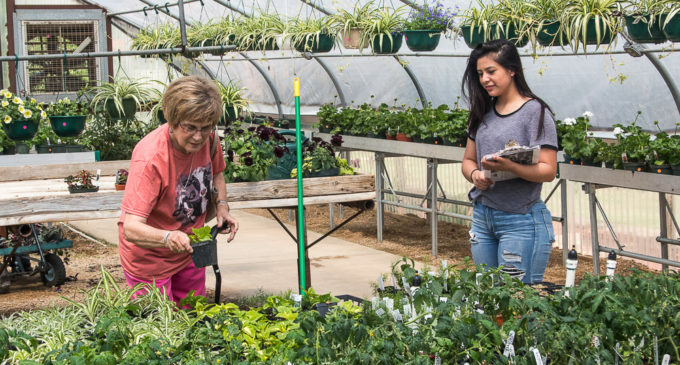 The annual Breckenridge High School Plant Sale will from 9 a.m. to 3 p.m. (or until they sell out) today, Saturday, April 14, at the BHS Greenhouse (500 W. Lindsey St). For sale are a variety of hanging baskets, bedding plants, succulents, tomatoes, and more. Prices range from $2 to $12. They accept cash or check only. All proceeds will support the BHS Horticulture and Floral Design programs. Jessie Shortes, the BHS FFA adviser, said the students are running every aspect of the sale, from setting up the plants to running the cash register and taking plants out to the customers’ vehicles. To see more of what’s happening in Breckenridge this weekend and in the upcoming days, click here for the Breckenridge Texan Calendar of Events.